Air/Electric motor conversion kit (controller, tubing, brushless electric motor and fixtures) for any treatment unit. Easy retrofitting of existing air-driven treatment units. 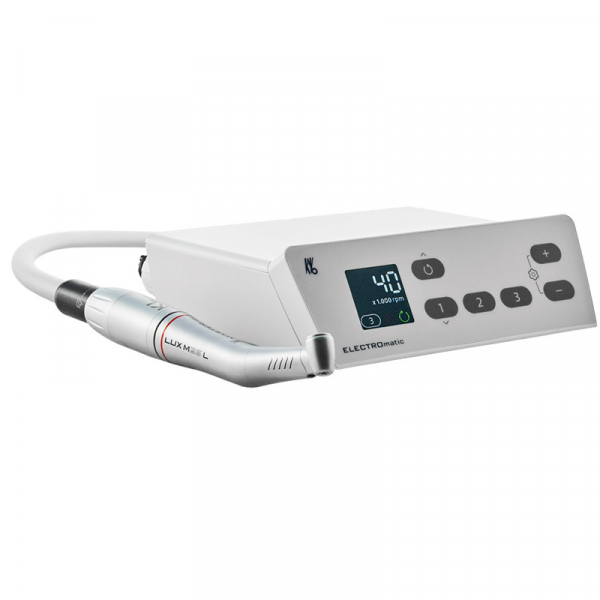 Allows the dentist to up- grade to an electric motor and all its advantage, within minutes. 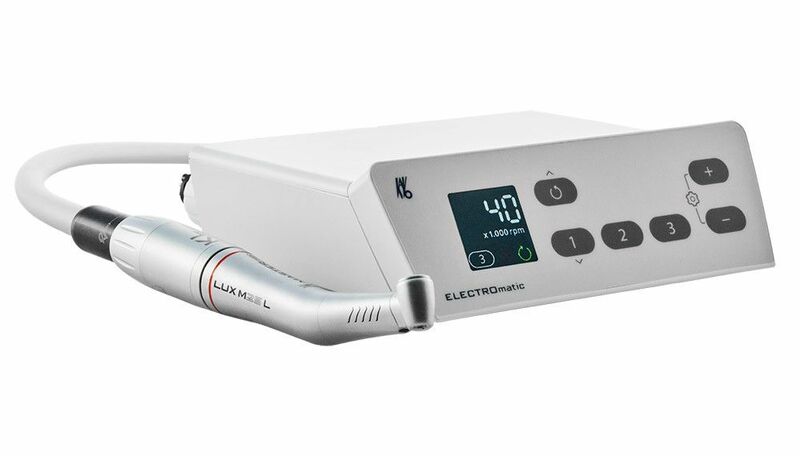 ELECTROmatic M/C controller, world transformer 230v with Power cable (2 m), connecting cable (5m). Assembly set with multiple fixtures and remote option (Option, for mounting the display seperate). Motor tubing. ▪ Superior Performance with the brushless INTRAmatic LUX KL 703 LED motor. Constant speed and torque even at high load. Motor torque up to 3 Ncm. Quieter than a brush motor. Water spray can be adjusted at motor tubing. 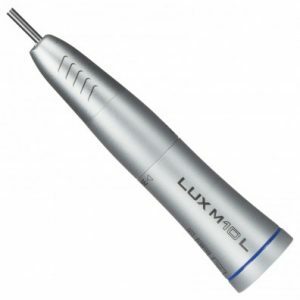 MULTI LED light with 25.000 LUX. SMARTdrive System with lightweight tube and ergonomic advantages. ▪ Speed control via pressure regulation with the foot pedal for electrically-driven KaVo hand- pieces. 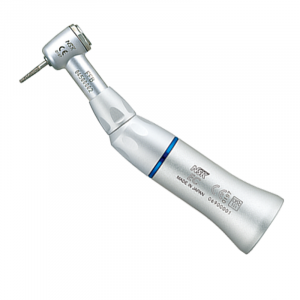 Motor speed range 100-40,000 rpm various attachments 2-200,000 rpm (depending on selected handpiece). 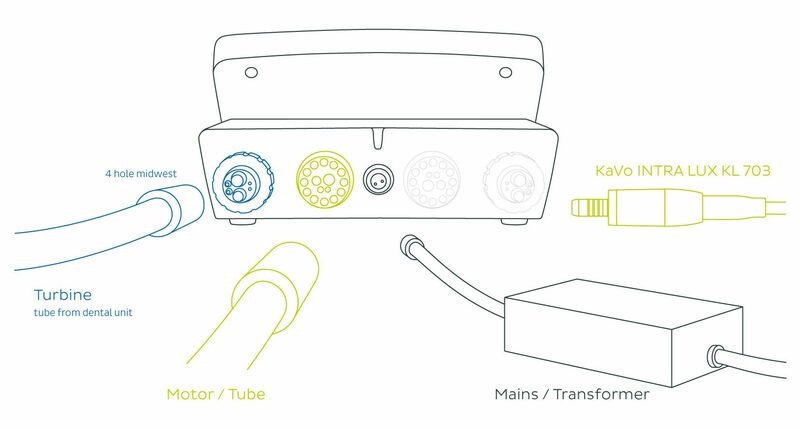 ▪ Small, easy to install control box with multiple fixtures for flexible & ergonomic mounting posi- tions. 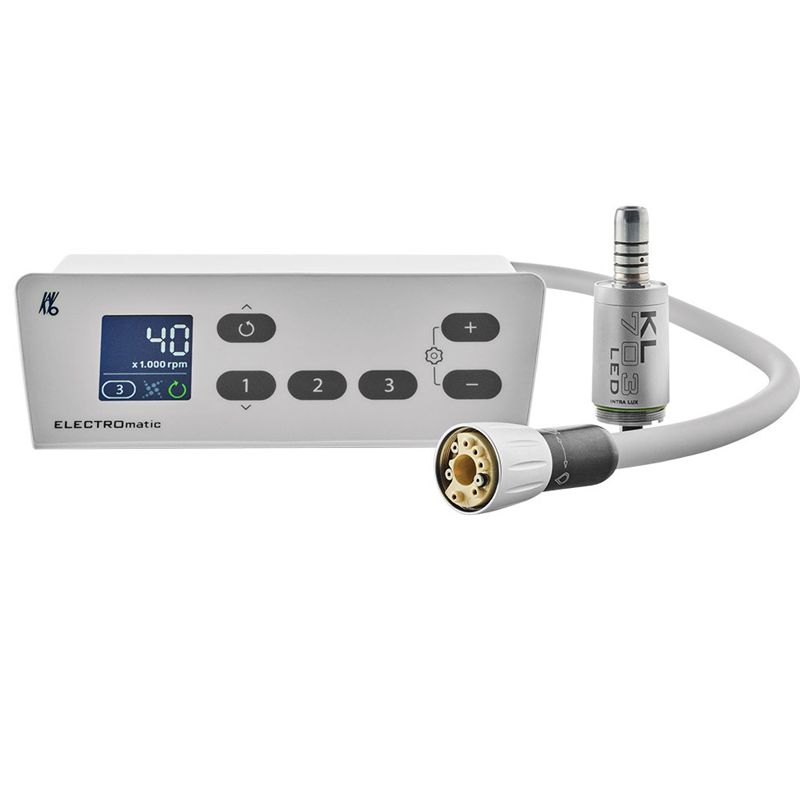 Auto calibration to existing air pressure for optimized performance. ▪ Reliable and proven system 40 years of experience in electrics, 20 years in ELECTROmatic. Ex- changeable water filter for constant high spray quality. 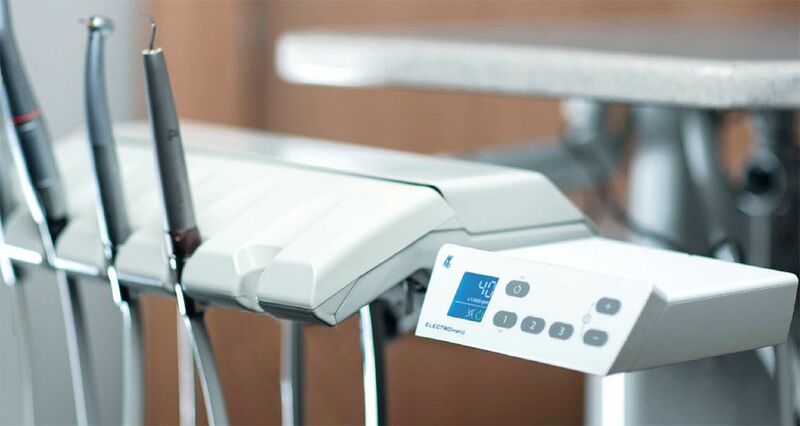 The ELECTROmatic versions can be installed in many positions to reach highest flexibility and perfect ergonomics for the dentist. All necessary fixtures allow assembly under, beside, on top of, behind the tray or onto a wall or cabinet. The display can easily be installed remotely with the integrated cord. The control box will be installed hidden under the tray. Mount the ELECTROmatic, then connect the turbine tube, the motor tube to the motor and connect the transformer to mains. With the first push of the foot pedal of the treatment unit, the system gets automatically set-up to the existing air pressure. 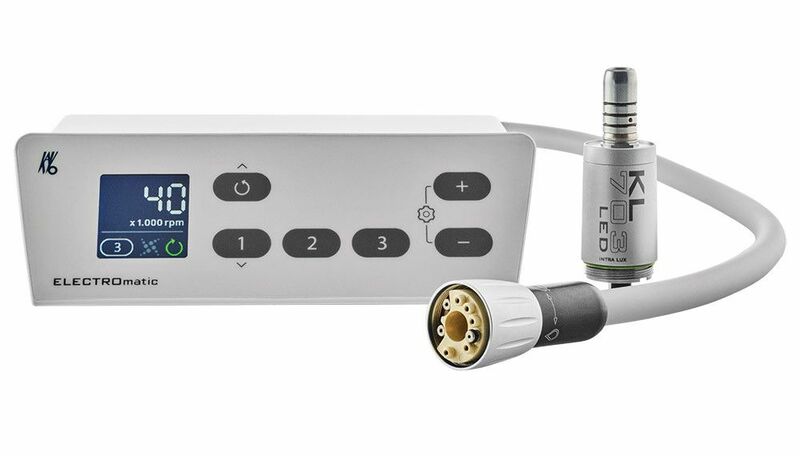 System is optionally available with long tube for rear delivery set-up of the controller, e.g. onto a cabinet. 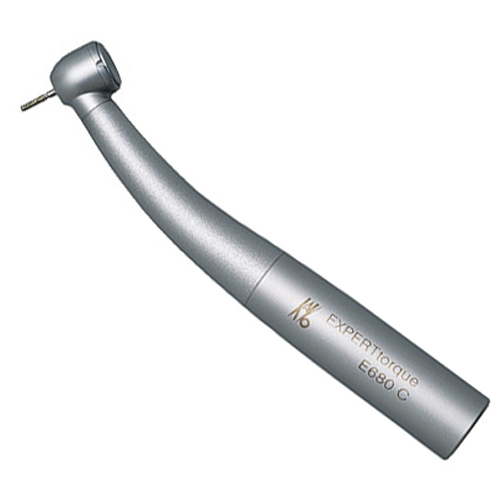 The endo mode allows up to 5 individual endo workflows, with up to 10 files each. The system offers a database including over 20 endo file systems all with preset parameters like diameter, taper and ISO colour code. Intuitively program your choice of single files from different systems to individualise your workflows and to implement further files. Define up to five individual endo workflows. 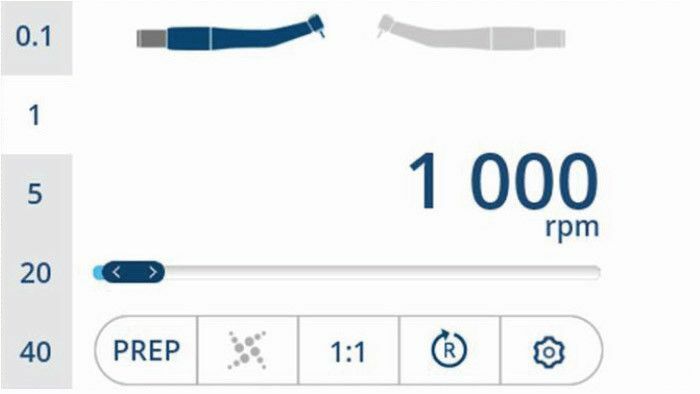 For each workflow choose between one of the predefined endo steps E0-E9. 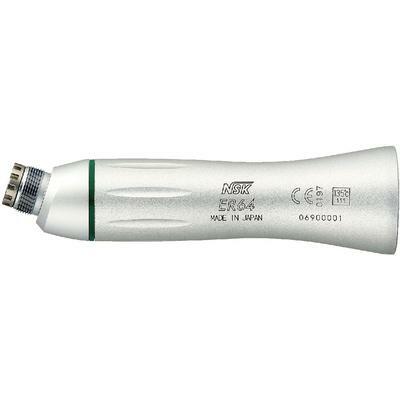 Choose the preferred file system and desired diameter / taper — the system automatically shows the max. 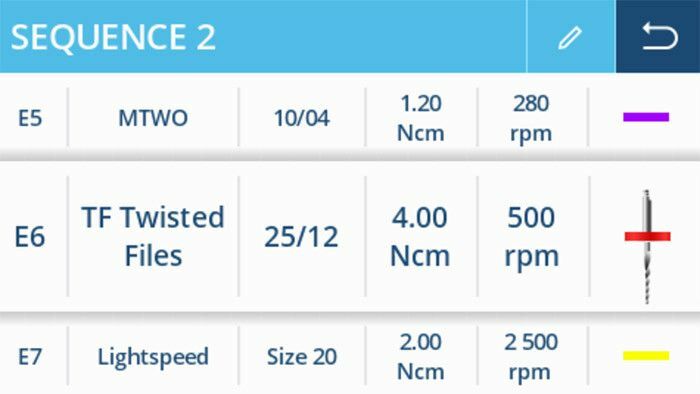 speed and torque for the selected ISO file. Define each of the 5 workflows with your desired description. 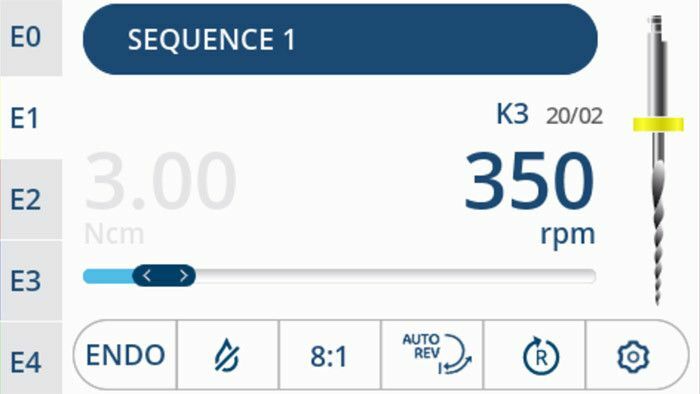 On the touch display, select one of your five endo workflows. Start with endo step E0 and continue as preset. The display shows the file name with ISO colour code, taper and diameter. If necessary, change the desired speed and torque with the active slider.